Councils stand accused of “exploiting” the Government’s controversial back to work scheme to employ staff on the cheap. Town halls are increasingly taking on workers under the workfare programme to fill roles left empty because of cuts. But figures show that the majority of the jobseekers are only given work for a few weeks and do not get a permanent job at the end. The mandatory work activity scheme forces jobseekers to take up unpaid placements for up to four weeks. Anyone who fails to participate can lose their benefits for 13 weeks. The scheme has been branded a “disgrace” as participants only receive their benefits – meaning they get paid as little as £1.78 a hour for a full time job. Since the scheme was introduced in June 2011 nearly 1,929 people have taken on by 167 councils under the work experience or mandatory work activity programmes. But only 138 of these were given a permanent job at the end of their placements. Bexley Council in South London took on 71 placements. Many of these were in the library service where the council had shed 35 permanent posts. Northumberland County Council took on 44 placements under the mandatory work activity programme but the campaign group Boycott Workfare claims not one received a job at the end of their placement. In Wales, Newport City Council took on 112 placements under the Work Experience scheme and the Work Programme but only 12 were given jobs in the council. The disclosure comes as Work and Pensions Secretary Iain Duncan Smith claimed many jobseekers lacked the “motivation” to find work. 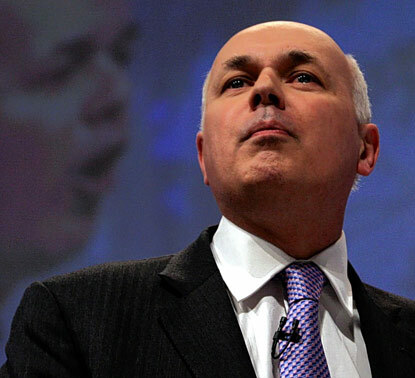 Announcing a new crackdown, Mr Duncan Smith accused claimants of making a “lifestyle” choice to live on benefits. “People who have been out of work for several years or those who are lacking motivation will be required to spend up to six months looking for an applying for jobs in return for their benefits,” he said. Joanna Long of Boycott Workfare said: “It is a disgrace that councils are making people work for no pay. They are exploiting local people to fill the gaps left by government cuts to public services. A Department for Work and Pensions spokeswoman said: “This scheme provides jobseekers with vital workplace skills and experience – especially if they’ve never worked before – to help them find permanent jobs. Ministers have been accused of “shameful” behaviour after quietly scrapping a scheme to help vulnerable elderly people keep warm – just weeks before its own review found it was universally popular. For the past two winters, councils have been allocated £20 million to provide emergency boiler repairs, hot meals to frail pensioners leaving hospital, snow-clearing and advice about pay fuel bills. In October a Government report acclaimed the scheme – which helps up to 200,000 people a year, mostly elderly – as a “universally popular” way to provide help to those in crisis.But by then, funding for the scheme had already been stopped, a parliamentary answer has disclosed. Public health experts said it was “appalling” that the Warm Homes, Healthy People fund had been axed, after the coldest winter for 50 years and amid fears that the NHS is struggling to cope. Age UK said the scheme had proved an “extremely necessary resource” which helped thousands of at risk pensioners last year. Mervyn Kohler, special advisor to the charity, said: “This was a really good scheme that made a really practical difference to people – providing emergency food and survival packs, checking people were getting the help to which they were entitled. Today the UK news services are reporting on the plight of 12,000 people left without electricity over Christmas because of the damage to electricity pylons caused by the recent big storms and high winds. Unreported in today’s news the far larger number of households without electricity, gas or food because of deliberate government policy compounded by administrative error in the Department of Work and Pensions. The DWP announced over Xmas that 32,000 people would not receive their benefits as expected before Christmas because of an administrative error. Many of those 32,000 people have households to feed, so there are far more than 32,000 people affected by this. Many were already on the edge of extreme poverty. Then there’s the people whose benefits have been ‘sanctioned’ by the DWP as a result of Government directives. Sanctions mean that all benefit moneys are removed for a period of at least 4 weeks, rising to 3 years. People being sanctioned are amongst the most vulnerable in the country, with the mentally ill, the disabled, and those with poor English skills being disproportionately affected. The government has admitted that half a million people were sanctioned last year, so there must be tens, and possibly hundreds, of thousands of unemployed, sick and disabled people that have not been in work or receiving benefits over this christmas period. Many of these people have children, equally affected. Add to these those people who have been misidentified as fit to work by the massively flawed ‘Work Capability Assessment’ system, and lost their sickness benefits. Since October, people who disagree with the results of their assessments and appeal are receiving NO MONEY AT ALL in sickness benefits, and are being told to sign on at the Job Centre for Unemployment benefit (JSA), whilst the DWP reconsiders their case. If people are too sick to work, they do not qualify for JSA, and many have been left with no income at all for an indefinite period. News of the first suicides and deaths are beginning to trickle through. So 12,000 people are without electricity due to flooding over Xmas and this is news, the prime minister goes to visit flooded areas, investigations are promised. Over 50,000 households are without electricity, gas or food over the same period due to government policies and errors, and it’s not even mentioned. Here’s some of the comments that have been making their way to my facebook feed today, Friday 27th December. Mental health trusts In England have had their funding cut by more than 2% in real terms over the past two years, figures show. The BBC received data from 43 out of 51 mental health trusts following a Freedom of Information request. 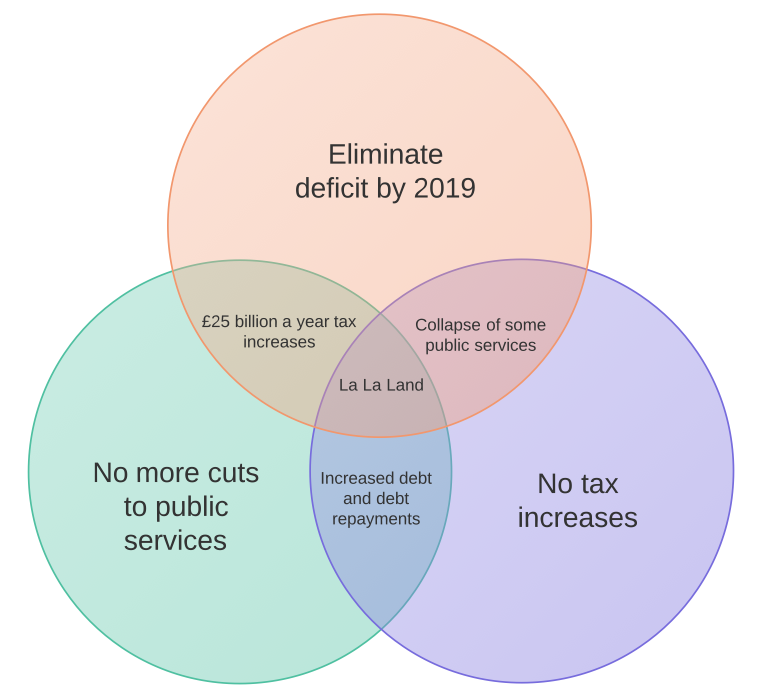 The coalition has guaranteed the NHS budget will rise by 0.1% in real terms over the course of this parliament. The Royal College of Psychiatrists is warning that mental health services are near breaking point. Separate data for the same period shows referrals to crisis and community mental health teams have risen by 16%. The revelations come just weeks after one of the country’s leading psychiatrists told BBC News that mental health services are unsafe and in crisis. Comparing the total 2011/12 budgets with that for this year, 2013/14, there was a reduction of 2.36% in real terms. Of the 13 trusts that were able to provide indicative budgets for next year, 2014/15, 10 are expecting more cuts. Paul Farmer, chief executive of the mental health charity Mind said the ultimate consequence of the cuts would be that people do not get the help they need in crisis. That is certainly the experience of Emma Bardney, who has a complex post traumatic stress disorder, but says she’s been failed by her mental health trust. Budgets for ‘crisis resolution teams’ fell by 1.7% in real terms compared to 2011/12. Referrals rose 16%. These are the staff who provide intensive home treatment in an effort to prevent acutely unwell people being admitted to hospital. Budgets for community mental health teams shrunk by 0.03% in real terms since 2011/12 but referrals have risen 13%. These teams give ongoing support to patients to prevent their health deteriorating to crisis point. Patients in Cornwall receiving dismissive advice, with one being told “I am the only one working, don’t kill yourself on my shift”. Community health teams in Bradford complaining of “unmanageably high caseloads”. Patients in need of an urgent assessment in Barnet, north London, not being seen for five weeks. Crisis teams in Kent spending as little as 10 minutes with patients. Mental health services in England are facing budget cuts despite the government’s promise to protect health spending. A DISABLED Kinver man killed himself after his state benefits were stopped, leaving him “almost destitute” – a coroner has ruled. Tim Salter, aged 53, who was partially sighted and suffered from mental health problems, was found hanged at his home just days before he was due to be evicted over rent arrears. Mr Salter, of Meddins Lane, had been registered partially blind since 1994 after an overdose in 1989 damaged his vision. Previously he’d worked as an assistant sales manager at Owen Owen in Stourbridge in the 80s but he failed to find further employment after leaving. Depression and the suicide attempt followed, after which he never worked again. Mrs Cooksey, aged 60, said her brother, who was agoraphobic, “never asked for help” and she never imagined changes to the country’s benefits system would affect him. Relatives only pieced together his dire predicament after discovering a repossession order from South Staffordshire Housing Association in the bin. Dated September 17 – it had given Mr Salter ten days to leave the home he had lived in all his life. He committed suicide on September 25, two days before the eviction date. Mr Salter’s family has since written to the Prime Minister and South Staffordshire MP Gavin Williamson over his death.